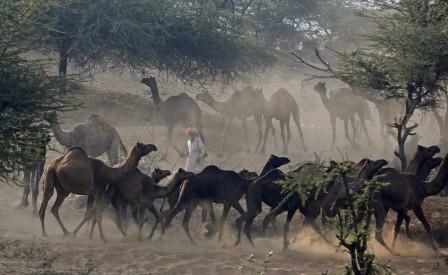 With so much of noise and crowd it is not easy to make your way through the Pushkar Fair. This Pushkar Fair Guide attempts to provide answers to some basic questions including how to reach Pushkar, where to stay in Pushkar and Pushkar programme guide. This Pushkar Fair Guide will be of immense use to all those planning to visit Pushkar Fair. 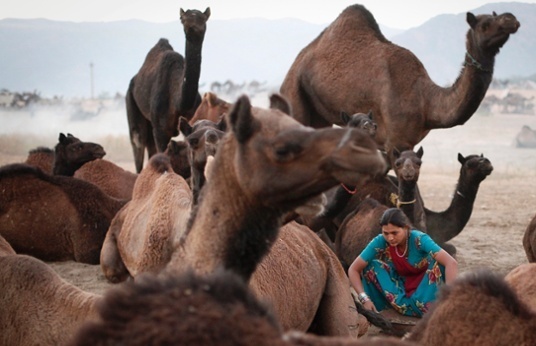 Pushkar is a small town in Ajmer district of Rajasthan. 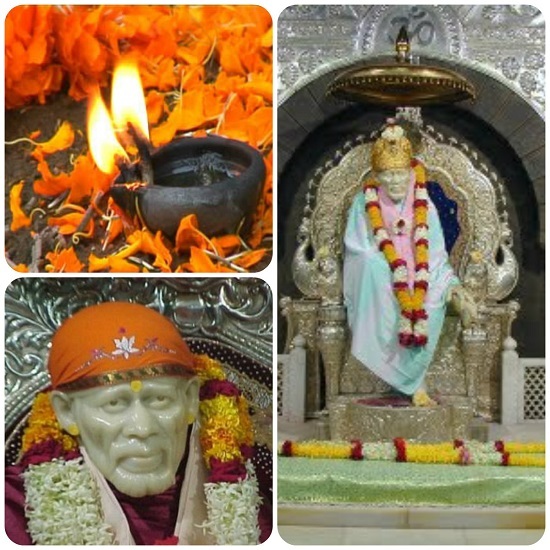 It is situated 14 km northwest of Ajmer. Pushkar can easily be reached by a combination of air, rail and road transport. Jaipur’s Sanganer Airport is the nearest airport to Pushkar, which is located at an approx. distance of 150 km. Jaipur airport is well connected by direct flights from New Delhi, Mumbai, Bangalore, Ahmedabad, Hyderabad, Indore, Kolkata and Chandigarh. The nearest and well connected railway station to Pushkar is Ajmer Junction, which has good rail connectivity to and from Delhi, Jaipur, Agra, Udaipur, Jodhpur, Abu Road and Ahmedabad. There are regular buses to Ajmer from places like Jaipur, Delhi and Mount Abu. Regular Rajasthan State Transport and Rajasthan Tourism buses are available from Delhi to Jaipur and Ajmer throughout the day and night at regular intervals. Where to stay during Pushkar Fair? Hotels in Pushkar are limited and it is advisable that you book a room in advance. Hotel rates shoot up during Pushkar Fair. Quite a few tour operators and RTDC (Rajasthan Tourism Development Corporation) set-up tented accommodation in the vicinity of fair ground and provide tourists a chance to live and soak in the humdrum of Pushkar Fair. If you do not get these two accommodation options, your next best bet is Ajmer, a town approx. 14 km away from Pushkar. You can hire a taxi for your travels to the Pushkar Fair. However, keep a note that you may have to walk a long distance to reach the fair, as vehicles are stopped way before you enter the fair ground. RTDC provides comfortable accommodation in its hotels – Khadim and Sarovar in Ajmer and Tourist Village in Pushkar. How to take best photos at Pushkar Fair?